Probably, each of us has favorite cafes and restaurants, where we dine more often than anywhere else. However, there are times when we get bored of eating the same dishes, and we want to taste something new, unique, and interesting. If you are interested in medieval culture, you can easily make a journey into the past, crossing the threshold of this establishment. Medieval Times invites you to visit a festival in the style of the 11th century, consisting of a magnificent dinner and an amazing show! The establishment strives for complete authenticity, so you cannot just satisfy your hunger there, but also taste unique medieval delicacies sitting at the same table with the king and queen, while watching the professional staging knight battle. There are also vegetarian dishes in the menu, so this nuance won’t be a problem. After the show is over, you can take a photo with the brave knights and set off to the local museum of medieval tortures. In short, if you like such a theatrical dinner, you won’t be disappointed in the Medieval Times! You can feel the new taste of the common dishes in O.Noir Restaurant. The main highlight of this establishment is pitch darkness, in which you’ll have to taste the ordered dishes. For the first time such restaurants appeared in Europe and North America, but nowadays you can also find them in Asia. Initially, one of the main ideas of creating such a restaurant was the desire to show at least one facet of the life of blind people. The second fundamental principle was the attempt to increase the sensitivity of the taste buds of the diner. 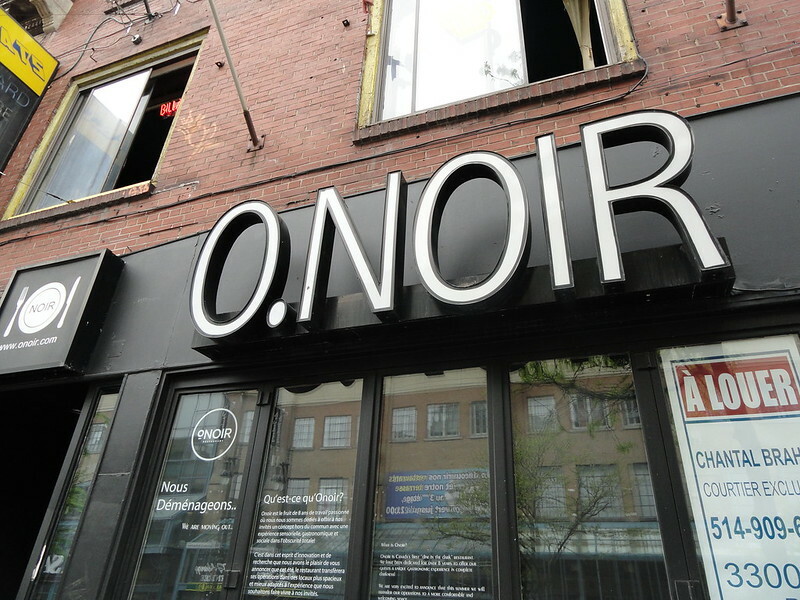 And indeed, everyone who has ever been in O.Noir says that even the usual dishes and foods are felt quite differently when you don’t see them. So, make sure of this fact and discover new culinary facets by yourself! The fans of a more romantic atmosphere will appreciate The Sultan’s Tent & Café Moroc. You will be able to feel the atmosphere of the oriental harem, enjoy belly dancing, and also taste great dishes of national cuisine. 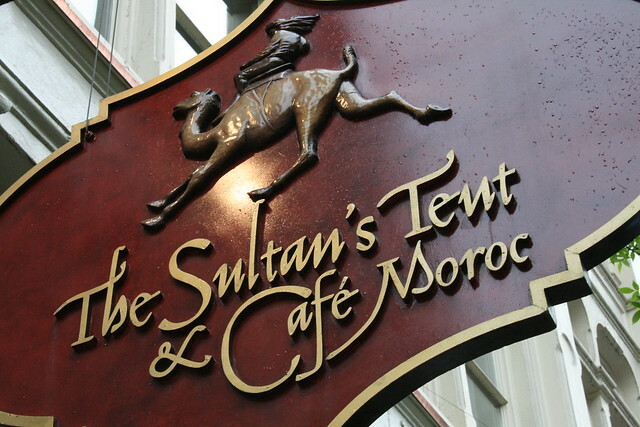 The restaurant is divided into two parts: Café Moroc and The Sultan’s Tent. Both options are popular among locals and tourists. The first hall is very special and resembles Rick’s Café from the ‘Casablanca’ movie. The second one is more exotic in its furnishing and decor. This restaurant attracts attention with its gloss at first glance: silk tents, glowing decorative lamps, comfortable sofas, soft cushions. Generally, there’s everything that you can wish for a wonderful romantic evening! 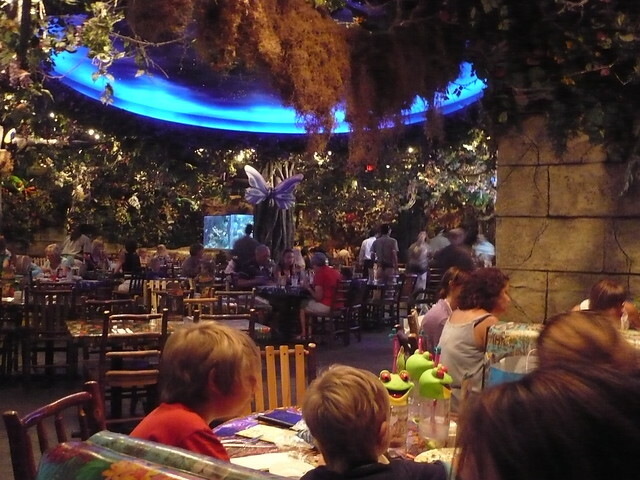 Despite the fact that the Rainforest Café may seem childish, there are many adults among its frequent visitors. Carefully thought-out interior ‘revives’ different animals, birds and snakes before the eyes of inquisitive kids. In addition to mechanical animals, the café’s waiters also wear special costumes and masks of wild animals. The sounds of wildlife are also present. Moreover, every 30 minutes you can hear bewitching and realistic sounds of thunder in the Rainforest Cafe. As for the menu, it’s very unique and exclusive. In this amazing establishment you can try “Volcano” – a delicious dessert, which is a real dream of children and adults. The rest of the dishes’ names are also surprising: Python’s Pasta, Forest Raccoon, Gorilla’s Cheese on the Grill, Lava, etc. Well, set off to the Rainforest Café to make a nice gift for yourself and your kid. This is a great establishment that will be a great dining spot both for vegetarians, vegans, raw food fans and people with gluten disease, and those who just want to try something new and unique. 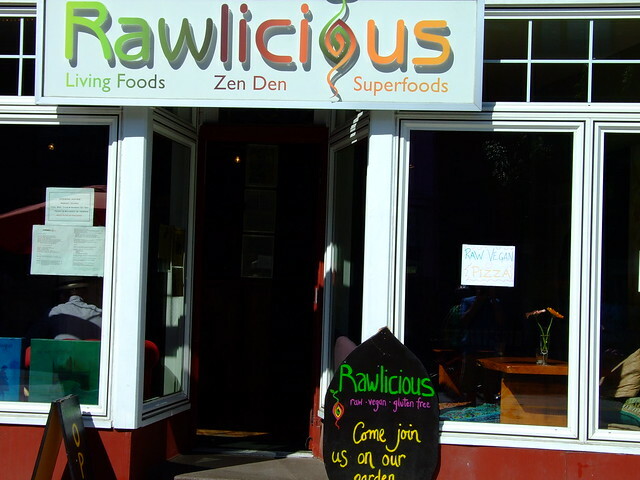 Rawlicious focuses on serving not only healthy, but also delicious food. That’s why there is no limit to creativity in cooking new culinary masterpieces! According to the regulars, Rawlicious favorably differs from other vegetarian restaurants and cafes, focusing on the successful combination of price, quality and health. Hard to believe? Check it out yourself! As you see, the restaurants of Toronto are very different: some of them allow plunging into ancient times and dining in total darkness, and others are fully focused on providing a special atmosphere or healthy food. Nevertheless, all of them are unique in their own way, and will be an excellent spot to have a dinner. You can use Toronto car rental for a quick searching and reaching these restaurants.